We know what RSD/ CRPS is. We know the devastating effects it has on victims and their families. We have handled numerous RSD/ CRPS cases to successful conclusion. Our experienced RSD/CRPS legal teams are experts at educating insurance companies, judges and juries of what CRPS/RSD is, how it ocurs and its devastating permanent consequences. The RSD/CRPS lawyers at Nadrich & Cohen are relentless advocate and fierce defenders for their RSD clients. The Reflex Sympathetic Dystrophy Syndrome attorneys at Nadrich & Cohen, LLP have been aggressively fighting throughout California for the rights of RSD victims for decades. We have handled to successful completion numerous RSD cases. Because of our success, we have offices throughout California. We are a 16 person law firm with aggressive and experienced attorneys who provide superior legal advice and representation. The Law Offices of Nadrich & Cohen, LLP has recovered hundreds of million dollars for its injury clients. Although Nadrich & Cohen’s offices are located in California, the firm is is called in to be involved in RSD/CPRS litigation throughout the country. If you are currently suffering from RSD/CRPS due to an accident or the negligence of another, please contact one of our experienced lawyers today for a free RSD case consultation. We know what you’re going through. It is free and completely confidential. Remember, we know how to educate and present to insurance companies, their lawyers, judges and juries what RSD is and its devastating consequences. We can assist you in obtaining costs of future medical care, locating RSD/CRPS experts, providing you with RSD support group resources and obtaining compensation for your pain and suffering. $2,000,000.00 Settlement for woman who developed RSD after falling in a motel parking lot due to Black Ic. $277,500 recovered for a woman who now suffers Reflex Sympathetic Dystrophy (RSD) in her ankle, after falling on her neighbor’s property. $500,000 for a woman diagnosed with RSD from falling into a hole in a custom swimming pool waterfall landscape. $275,000 for a woman diagnosed with RSD from a dog bite. RSD is a neuropathic syndrome that causes severe pain to a person’s feet, hands, and other extremities. Although many people think that Reflex Sympathetic Dystrophy is a new syndrome, it was actually first discovered in the mid 1800’s. Even today many physicians and patients do not have a thorough understanding of the seriousness and devastation that RSD/CRPS causes. The reputable and well known “McGill Pain Index” rates the pain involved with RSD at a 40 out of 50. This is a very high amount of pain, as childbirth is rated a 32 out of 50. Considering the seriousness of RSD, it is hard to understand why various government agencies such as Social Services, Worker’s Compensation, etc., are still mostly uninformed of the suffering that people inflicted with RSD/CRPS endure. 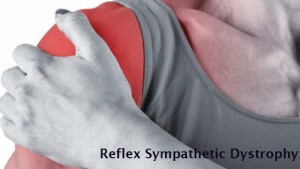 Reflex Sympathetic Dystrophy, or RSD, is a progressive and chronic disease. It has been estimated that approximately 30,000 persons a year are diagnosed with CRPS/RSD. RSD is a serious and life changing illness, and its long-term consequences are still a mystery to many medical professionals. If you have been involved in an accident and your injuries have resulted in an RSD/CRPS diagnosis you will need the representation and guidance of experienced, qualified, caring and informed RSD attorneys such the Law Offices of Nadrich & Cohen. An additional reason that sets us apart from other personal injury lawyers is that we will hire the best RSD/CRPS experts to prove your case. Because of our level of commitment, we receive a significant number of referrals from past clients who recommend friends and family members to us. You owe it to yourself to do so.